She struggles between strict, old-fashioned Victorian values and newer, more liberal mores. In this struggle Lucy's own idea of what is true evolves and matures. George is troubled by existential worries in Italy. He doesn't understand how life can be truly joyful. A lovely read and a book full of symbolic values. Chosen from the Books beginning with R bookring. Thank you! 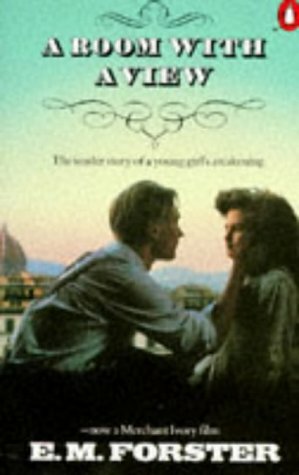 The beautiful story of a young woman's trip to Italy with her older, starchy cousin, and how it changes the way she thinks and feels. I love the film and the book is definitely as good. Got his in the mail yesterday from greenbadger. Thanks!